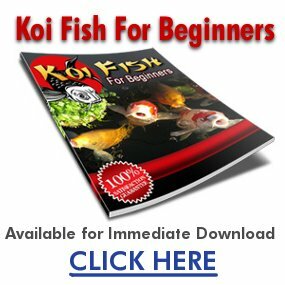 How do you breed koi fish? Koi (or “nishikigoi”) are colorful fish in the carp family that were first bred in Japan more than 200 years ago. Today, many people breed koi as a hobby and even enter these fish in competitions and shows. 1. Understand that April to July is the best time for koi to mate. Try for a one-to-one ratio of males to females when breeding. 3. Look for female koi to become bloated when they’re carrying eggs. Add a similar-sized male koi to the pond at this point. 4. Help the fish to form a natural nesting area with synthetic brush or willow cuttings submerged underwater. The fish will nest beneath the brush. 5. Expect the breeding pond to appear cloudy and give off an unpleasant odor immediately following the spawning process. 6. Keep in mind that koi will lay thousands of eggs at one time. The eggs need to be separated from the adults to prevent them from being eaten. 7. Expect the eggs to hatch within a week. 8. Plan to feed the baby koi as often as five times a day for the first few months. Realize that less than half of baby koi will survive to adulthood. Know that koi can grow up to 36 inches. Remember that the size depends very much on the pond size, aeration and feeding. Lots of lubrication and… ummm ooerr I think I missed the point there…..LOL!